Hard to believe it’s already July, but here we are! 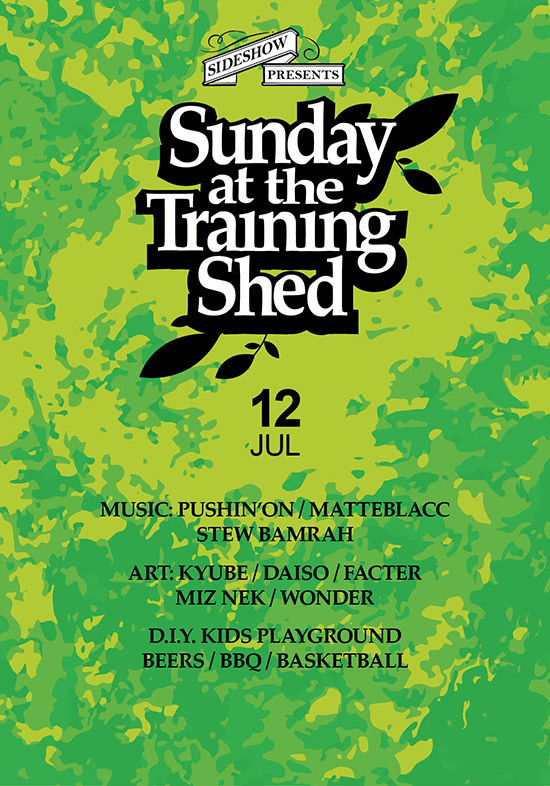 Sunday at the Training Shed number 31 features music from Pushin’On, Matteblacc and Stew Bamrah, art from KYUBE, DAISO, FACTER, MIZ NEK and WONDER. Plus the usual chilled vibes and Training Shed hospitality. Free and family-friendly (dogs included), but please support the party by purchasing food and drinks only from the venue. OFF THE RAILS – AGAIN!